About half of these was reboxed for my move last year. 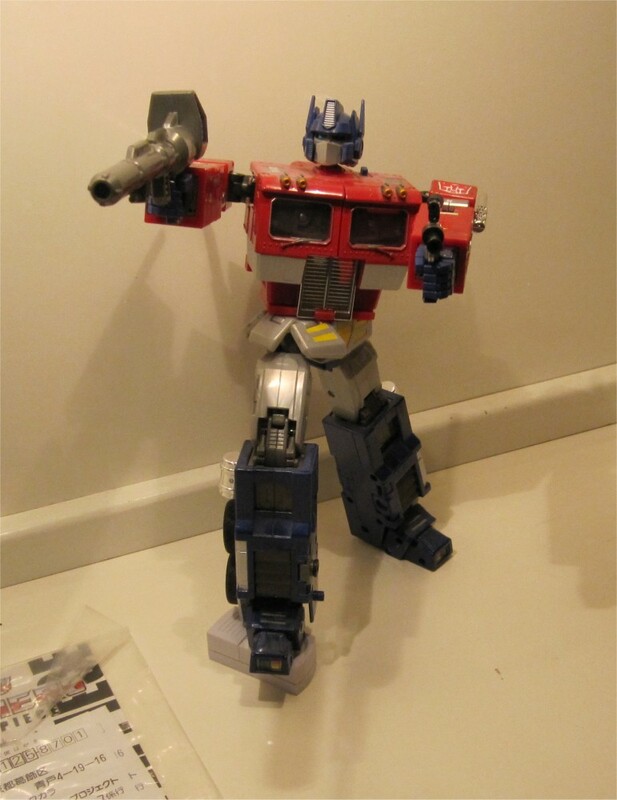 Optimus Prime Masterpice-1 is the largest and most poseable OP yet. 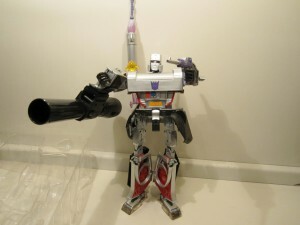 He weighs about 4 pounds due to a large amount of die-cast metal mostly in his chest and lower legs. 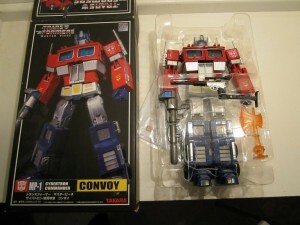 Due to rabid fan requests takara released this derpy disaster. 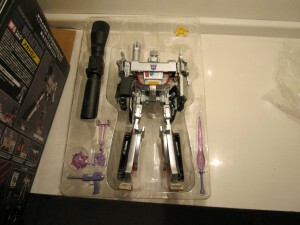 Apparently designed in less than 12 days and sacrificing to much of the robot mode to get the gun mode to look okay. 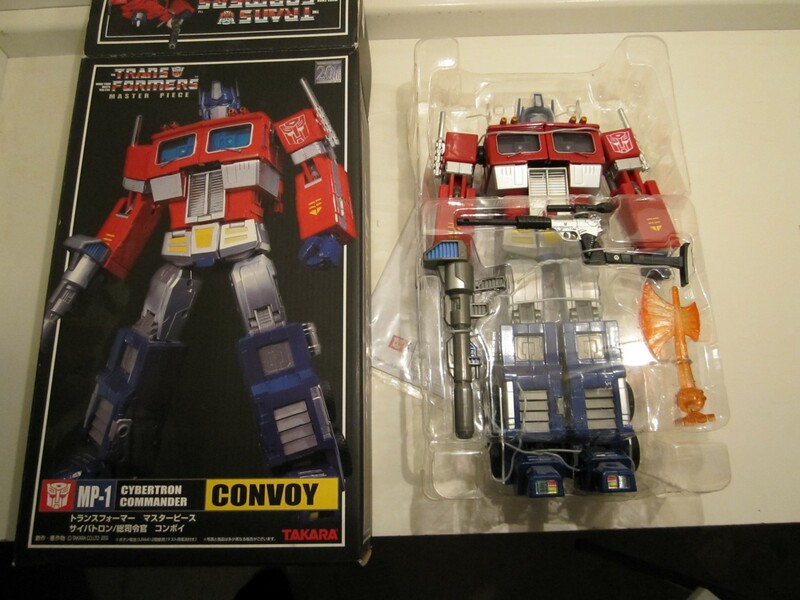 And since Takara sized the robot mode to MP-1 the gun mode is way larger than the real gun its modeled on.